You should include the black currant in your diet if you suffer from poor cardiac health. Also if your hair is thinning at an alarming rate, then add this fruit to your diet. If you want to stop the visible signs of aging, then eat black currant. Black currant is small berry which is rich in antioxidant called anthocyanins [1,2], essential minerals, vitamins and many other healthy nutrients which are extremely beneficial for the hair, skin and health. This is fruit berry which grows on the woody shrub on the same name. The black currant belongs to the Grossulariaceae family. It is native to the parts of Central and Northern Europe and Northern Asia. 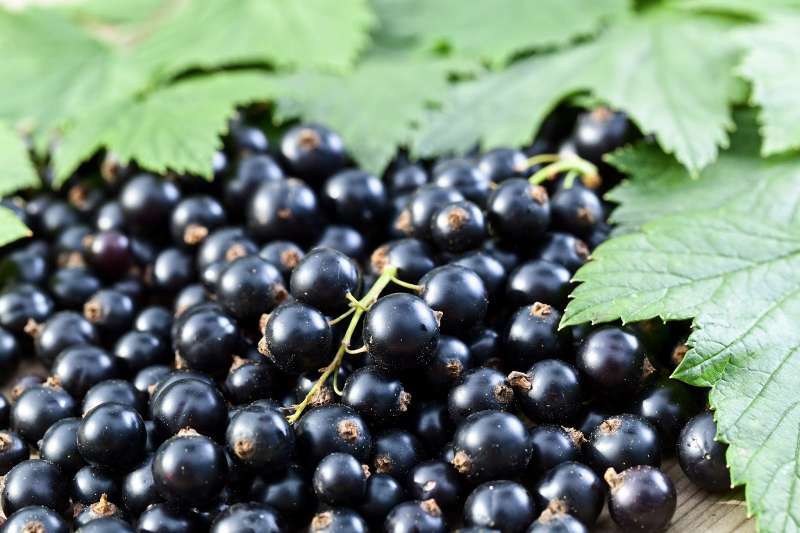 It is not common, but black currants can cause an allergic reaction in some people , especially in people who are sensitive to salicylate which is a compound that happens naturally in some plants. If you have noticed symptoms, like swelling, hives or rashes after eating black currant, then you should stop using it as soon as possible. Black currant can slow the blood clotting. If you are taking a medication for blood clotting or if you have bleeding disorder, then you should talk with your doctor before you start using black currant in your diet. Health of hair: When you consume black currant, then it will save the health of your hair. It has GLA (gamma – linolenic acid) which is an essential fatty acid that can prevent the hair fall and it promotes the hair growth. Also this fruit can help you to fight against several other health problems, such as excessive hair breakage, hair splitting and dryness of scalp . Gorgeous skin: The cold – pressed oil which is made from black currants is very beneficial for the skin. It has antioxidant properties which can nourish the dry and damaged skin and it will restore the natural glow without causing any side effects. When your skin gets enough nutrients from the black currant, then it becomes soft and replenished. In this way, it will reduce all signs of aging. Black currant has anti – oxidative, antibacterial and anti – inflammatory properties which can help you to fight against many skin disorders. This is a reason why the black currant oil is topically used to heal atopic dermatitis, psoriasis, eczema etc. Maintain eye health: It has Vitamin A which can help to maintain the health of your eyes. Also it can help you to avoid the vision loss by increasing the visual power and eyesight . Provides relief from gastrointestinal and cardiovascular inflammation: This fruit is rich in many antioxidants and other compounds, like phytonutrients, anthocyanin, tannins, etc. 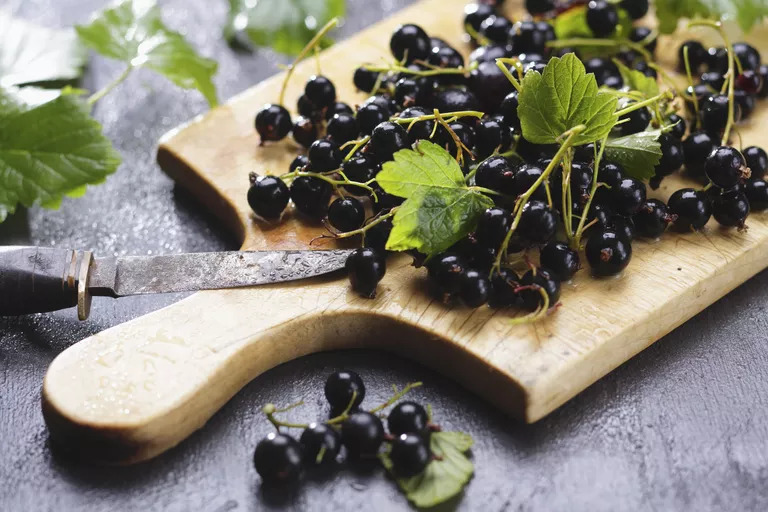 and all of the mentioned components are making the black currant very effective for preventing against gastrointestinal and cardiovascular inflammation . Assist in energy production: You should eat black currants on daily basis because it is very beneficial in the production of energy in the body. This property of black currant is due to manganese in it. This mineral can assist in some enzymes that are responsible for the production of energy in the body. Also it plays an important role for strengthening the antioxidants defense in the body. Helps in controlling blood sugar levels: When people consume black currants on regular basis and in moderate amounts, then it is beneficial for people who suffer from diabetes. This is possible because black currants have a low glycemic index and this means that they release sugar into the bloodstream at a slow pace and also it helps in controlling diabetes. Provides relief from constipation: This fruit is very good for the stomach and it plays an important role in keeping our digestive system healthy. This is possible because black currants have dietary fiber. The dietary fiber can regulate the bowel movement and also it ensures a smooth elimination of waste from the body and at the same time it will give you a relief from the constipation. We know that constipation is major thread to the digestive system so by eliminating the constipation, the black currant can reduce the risk of many digestive problems. Watson AW, Haskell-Ramsay CF, Kennedy DO, Cooney JM, Trower T, Scheepens A. Acute supplementation with blackcurrant extracts modulates cognitive functioning and inhibits monoamine oxidase-B in healthy young adults. Journal of functional foods. 2015;17:524-539. Diaconeasa Z, Leopold L, Rugină D, Ayvaz H, Socaciu C. Antiproliferative and antioxidant properties of anthocyanin rich extracts from blueberry and blackcurrant juice. International Journal of Molecular Sciences. 2015;16(2):2352-65. Rose PM, Cantrill V, Benohoud M, Tidder A, Rayner CM, Blackburn RS. Application of anthocyanins from blackcurrant (Ribes nigrum L.) fruit waste as renewable hair dyes. Journal of Agricultural and Food Chemistry. 2018;66(26):6790-98. Ohguro I, Ohguro H, Nakazawa M. Effects of anthocyanins in black currant on retinal blood flow circulation of patients with normal tension glaucoma. A pilot study. Hirosaki Medical Journal. 2007;59(1). 5] Vagiri M. Black Currant (Ribes nigrum L.) – An insight into the crop. A synopsis of a PhD Study. Introductory Paper at the Faculty of Landscape Planning, Horticulture and Agricultural Science. 2012;2. Gopalan A, Reuben SC, Ahmed S, Darvesh AS, Hohmann J, Bishayee A. The health benefits of blackcurrants. Food & Function. 2012;8.